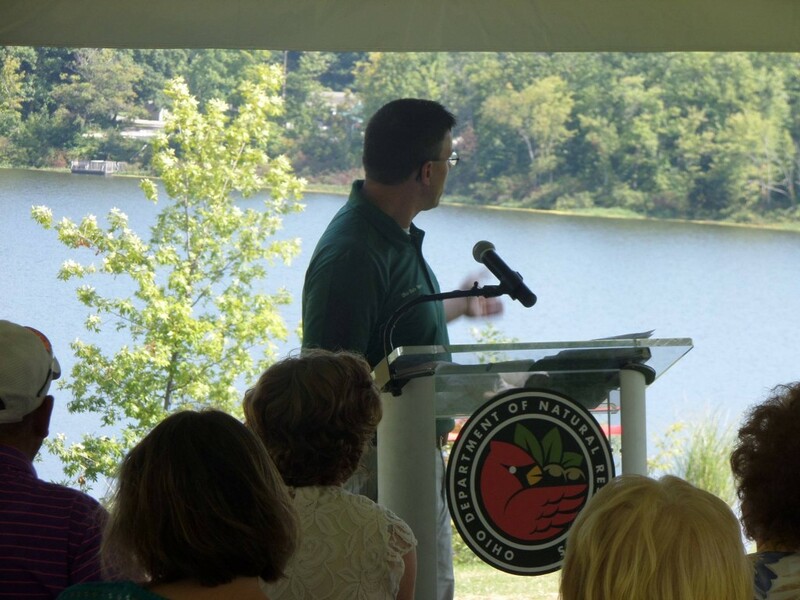 NEWBURY, OH – Ohio Department of Natural Resources (ODNR) Director James Zehringer today announced several capital improvement projects for Punderson State Park. The improvements will be made to the Punderson Manor Lodge and Conference Center as well as renovations to the park’s cabins and playground equipment. The New Boardwalk leading from the Manor House down to the lake, soon to extend to the cabin area. Bob (Friends of Punderson Member & Campground Host) speaking with Russ who worked very hard on getting the new boardwalk completed. 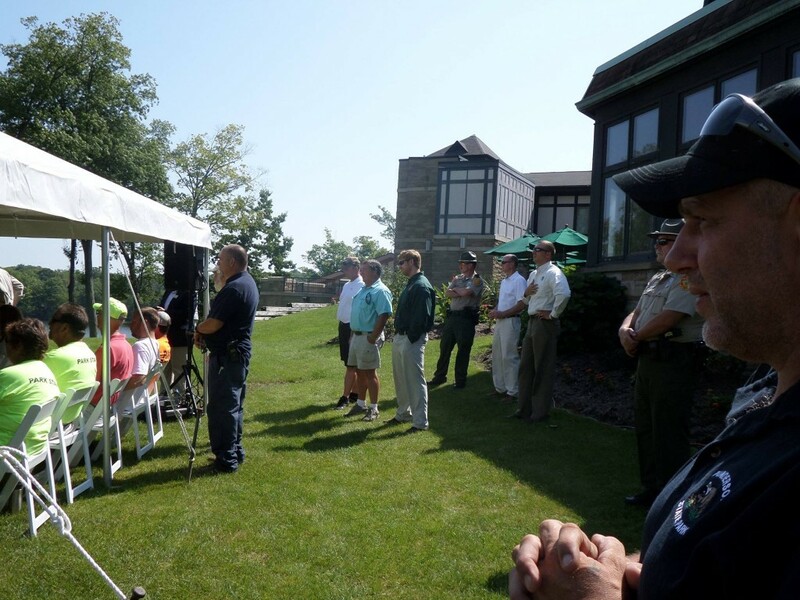 The Ohio State Parks capital improvement projects, and others like them around the state, are made possible through the support of Governor John Kasich, Senate President Keith Faber and the Ohio General Assembly. 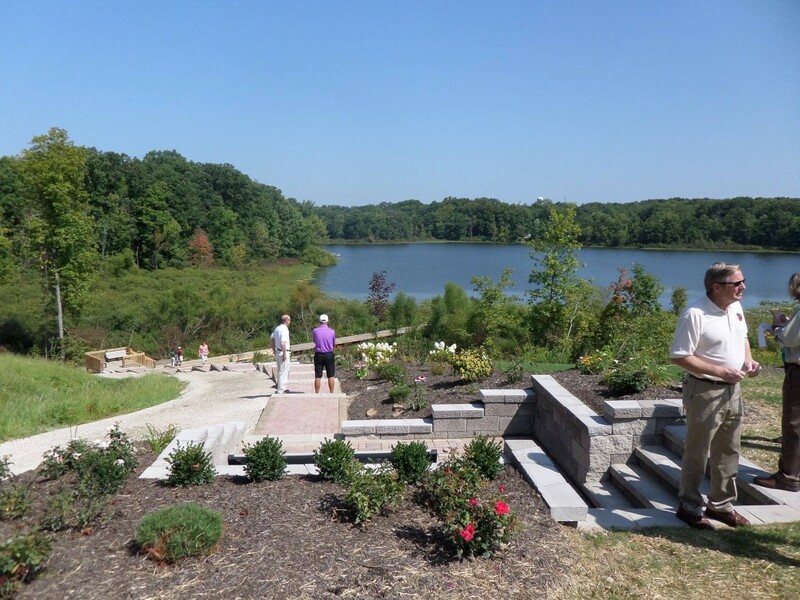 Ohio State Parks received an unprecedented $88.5 million for capital improvements to strengthen the infrastructure and modernize facilities in the most recent capital budget. 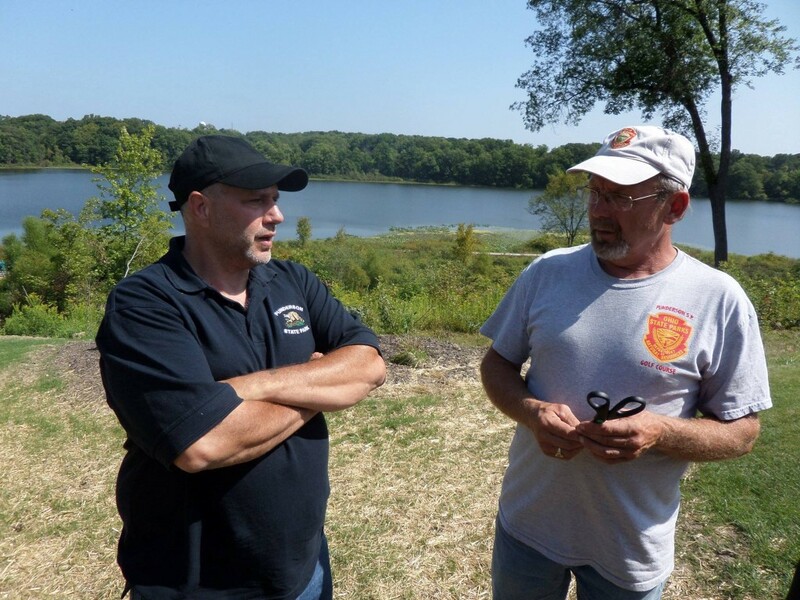 To assist in identifying key projects, ODNR launched a website to allow people to submit their ideas for improvements within the Ohio State Parks system. By visiting parks.ohiodnr.gov/improvements, people can fill out a survey to suggest improvements at their favorite state park. To date, the department has received more than 5,100 completed surveys. Ohioans are encouraged to continue to fill out these surveys and share their feedback as they visit Ohio’s 74 state parks this summer. Ohio is proud to be one of only seven states in the nation where admission to state parks is free.